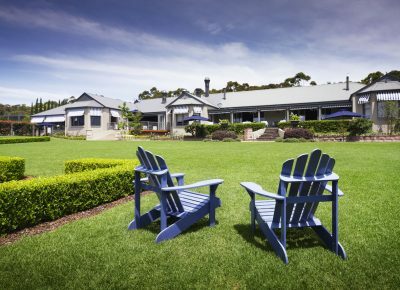 After the acquisition of the extensive property from John Singleton, new owners of Bells at Killcare Boutique Hotel, Restaurant and Spa, Brian and Karina Barry will take over management and operations of the hotel restaurant from restaurateurs Stefano Manfredi and Julie Manfredi Hughes. Manfredi at Bells has won numerous awards over the last ten years, including consecutive one chef hat wins at the Sydney Morning Herald Good Food Guide from 2007 to 2014 and the 2014 National Restaurant and Caterers Awards Best Restaurant in a Hotel/Resort. Stefano’s work at Manfredi at Bells also saw him pioneer the kitchen garden concept in Sydney, with the restaurant receiving Good Living’s 2012 Sustainability Award as a result. After 10 years, both Stefano Manfredi and Julie Manfredi Hughes felt it was time to move on and pursue new challenges. They have left the team and restaurant in great shape as a business.